Harvey Milk’s words ignited a movement, prompting the uprising of queer people across the United States. By letting people see us, know that we were there, coming out of the closets and the shadows shaped the current landscape around equality for gay and lesbian people we live in here in America and influenced similar movements in other countries. The National Coming Out Day movement established in 1988 set about to re-ignite the movement toward authenticity, generating not only visibility of LGBT people but also foster an environment where people who do come out are supported and respected for their life choices. 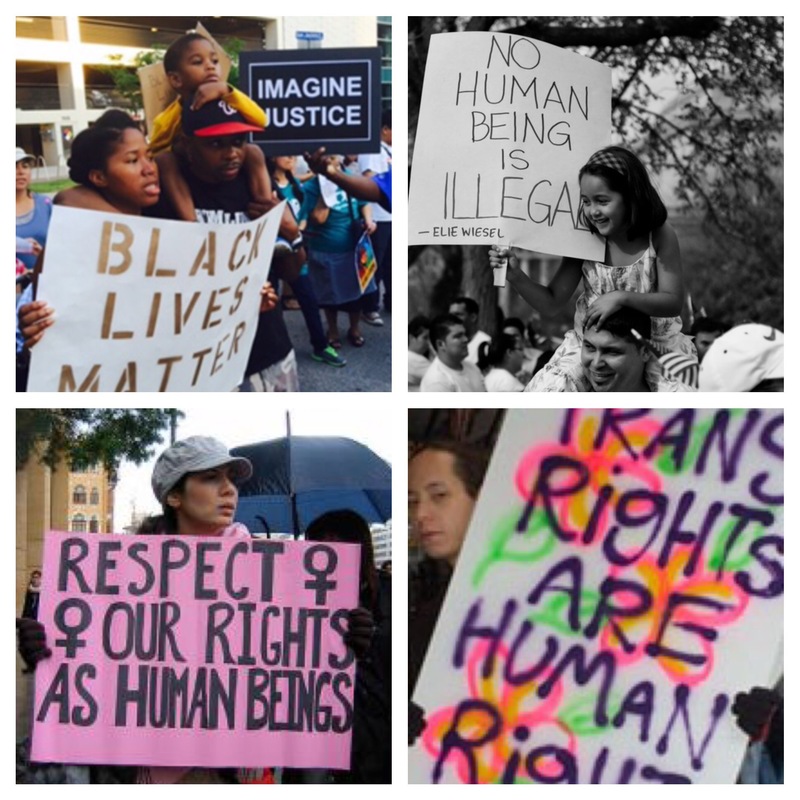 It is vital that lesbian, gay, bisexual, and transgender people not only come out but that they–particularly youth–are supported and affirmed for being their authentic selves. Yet I think the real need for coming out is not just related to expressing one’s sexual identity or gender expression. I believe it is broader, even, than the need for straight people to “come out” and support LGBT people with their words, actions, and votes. It is time–far past time–for people of faith to COME OUT and shed the fear, bigotry, and intolerance that shackles our capacity to love and blasphemes the word of the God many claim to follow. It is time for people of faith to COME OUT and reclaim Christianity as a faith expression that is known for the principle of loving others instead of being known for one that discriminates and condemns. This applies not only to love for LGBT people but to immigrants, to people of color, women, and particularly, at this moment in America, to transgender people. It is time for white Christians to COME OUT and flood the streets every single time a black man or woman–especially young women and men–is killed as a result of police brutality. The fact that the #BlackLivesMatter movement is doing this work is a remarkable show of coming-out power but it is vexing that our CHURCHES are not leading the fight. Further, the failure of white people to put their voices and bodies into this movement is a blight on the expression of faith and the memory of the black man lynched on a tree on Golgatha. It is time for people of faith to COME OUT against a prison system that disproportionately imprisons men of color and that executes human beings for their crimes. We cannot claim to be pro-life for any moral or Biblical reason and also be pro-death penalty and ambivalent, at best, about the value of black (non-white) lives. We cannot go about our lives caring only for our white children and ignore a system that has reinstituted segregation designed to propagate continued marginalization of people of color. We can no longer participate in an immoral system where some lives matter and others do not. It is time for people of faith to COME OUT with their votes and stand against the minority of politicians pandering to hate-filled, ignorant constituencies with messages of immoral superiority and a-Christian principals. We must decry policies that benefit only the wealthy, that destroy our environment, marginalize and exploit undocumented workers, and that fail to provide protections to the constitutional rights guaranteed to all citizens. It is time for men of faith in particular, and women too, to COME OUT and oppose a system that is designed to maintain male control over women. Women have the same constitutional rights as men and should not be subjected to laws and pathological theology designed to oppress them. No matter how complicated the issue is, women have the right to make their own healthcare and reproductive choices and faith should underscore their fundamental humanity. It is time for lesbian and gay people of faith to COME OUT and stand with their transgender sisters and brothers and include them in the extravagant love of God. Just because we have received a huge victory with respect to marriage equality does not mean that our work is anywhere near done. Society is moving forward with respect to including us but this is not the experience of trans* people. We must not fail them. It is time for people of faith to COME OUT and call out religious leaders, false prophets, and charlatans who say or imply that any human being is “illegal,” whose theology creates a culture of churches that more resemble white-washed tombs than communities of love. We must stand alongside migrant peoples in this country–not just the ones our culture says are ok. Our nation would be nothing without migration–not our infrastructure, not our advances, not our strength. But when we let mothers and children wither in detention prisons, when we allow people of faith to blaspheme the intent of the scripture to justify their xenophobia, when we try to pretend that we’re not a part of a system that continues to exploit undocumented workers yet oppose their right to healthcare and other services that documented workers receive, we are just as guilty as they are. It is far, far past time for people of faith to COME OUT and put our faith where our lives are–or where it should be. For faith that allows anyone to be marginalized, that judges others as inferior or unworthy, that participates in segregation is misplaced and maligns the very commandments of Jesus and the Gods of most every faith tradition. People of faith cannot truly claim to love God if we cannot love others. Not just the people who look like us or are in our same socio-economic status. But everyone. People of faith, we must COME OUT. For the sake of the weary migrant. For the sake of black mothers and fathers. For the sake of transgender people. For women. For children who are scared, from Waller County to Ferguson.